Serves: 3 large portions. trust me, you'll want to eat that much. 1. Cut spaghetti squash in half, removing seeds and that stringy mess you find inside of a pumpkin. 2. Drizzle EVOO on the insides and place squash halves face down on a baking sheet lined with tin foil. 3. 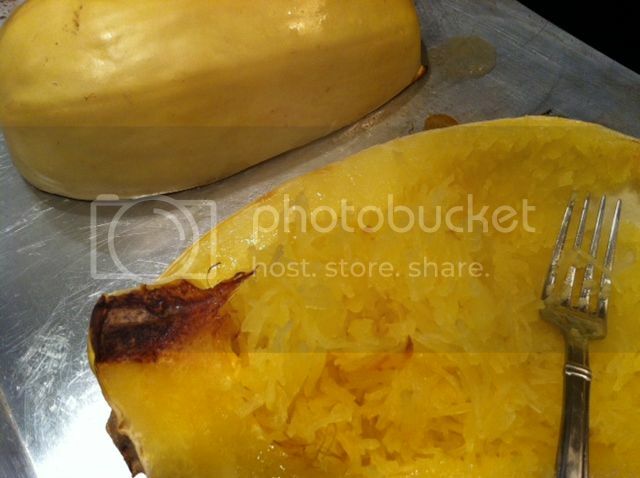 Cook for 45 minutes at 475 degrees, or until a fork can be easily inserted into the skin of the squash. 4. 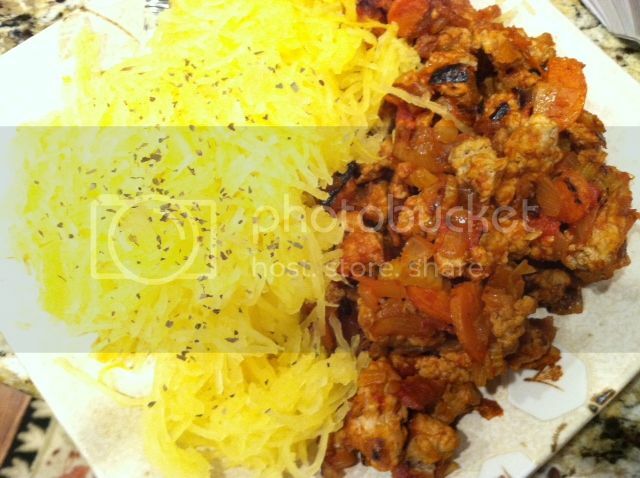 While the squash is in the oven, warm coconut oil in a large skillet over medium-high heat. 5. 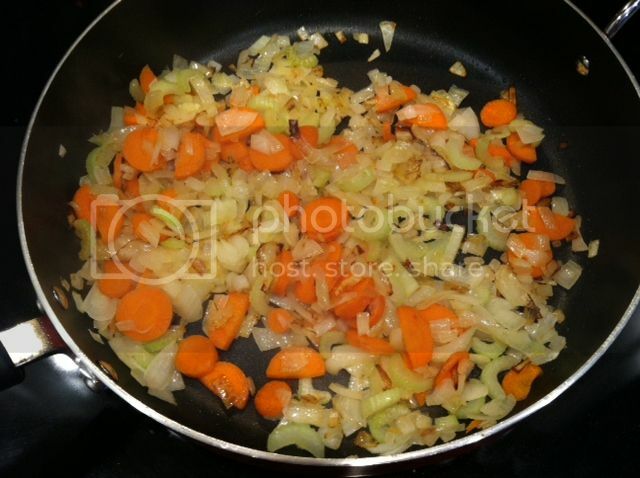 Dice onion, carrot and celery and add to pan. 6. Stir occasionally until vegetables are opaque. 7. Add garlic and let cook for an additional minute. 8. 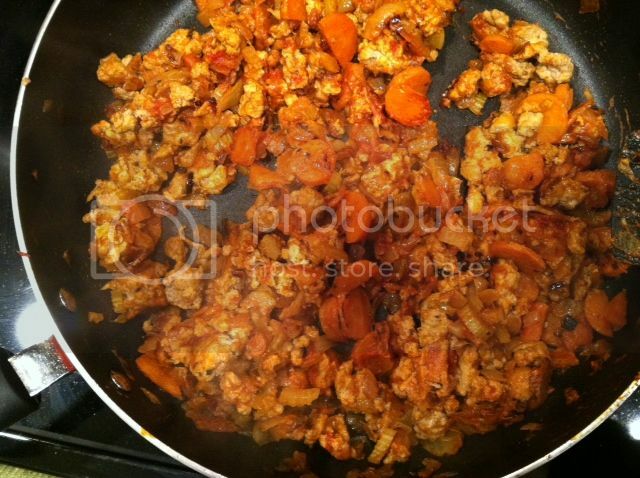 Add meat and stir until cooked through. 9. Once the meet is brown, add coconut milk and tomato paste. 10. Reduce heat and let simmer for an additional 20 minutes, stirring occasionally or until the liquid has cooked in. 10. Crumble cooked bacon on top and mix in. 11. Remove from heat. 12. Once the squash is cooked, carefully flip the halves over and take a fork to the inside flesh, yielding thin noodle-like pieces. 13. 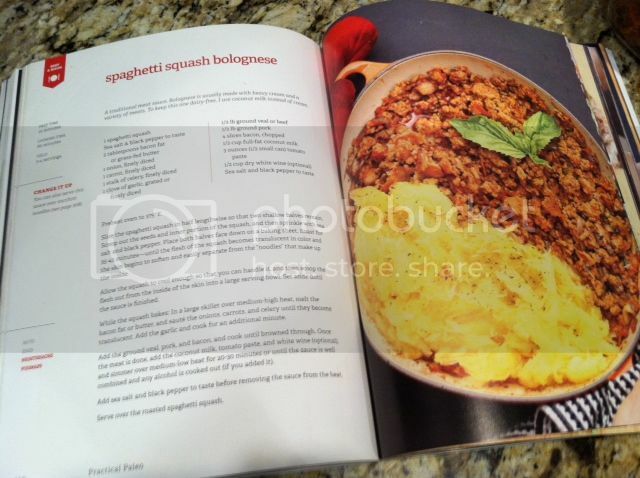 Serve bolognese over (or next to) spaghetti squash and enjoy! Dinner for one. Check. Red wine (it's good for the heart). Check. Sappy rom-com. Check. Happy Valentines Day my little fitties. Older PostWinter Workout + Healthy Hot Cocoa = Best SNOW Day Ever!